Liver shunt. Especially common in undersized Yorkies, liver shunt, or portosystemic shunt, can be a life-threatening illness for your tiny pup. Usually present at birth, this disorder occurs when blood bypasses the liver and goes straight to other major organs of the body. The liver is in charge of cleaning out bacteria, proteins, and toxins from the blood, but the shunt simply lets the blood pass by without first being cleaned. Symptoms of liver shunt include slow growth, disorientation, and unresponsiveness. Liver shunt can sometimes be corrected with surgery, so if you notice your Yorkie is acting oddly, call your veterinarian right away. Legg-Calvé-Perthes Syndrome. This degeneration of the head of the femur bone (in the hip) usually appears over several months and doesn’t typically present until the Yorkie is around 6 months old. 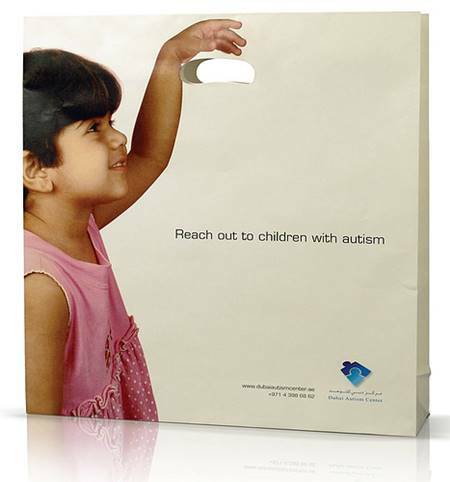 While the exact cause is unknown, many experts agree that the cause is related to low blood supply to this area. Diagnosed by a physical exam done by a veterinarian, this deformity can be treated through surgery or even physical therapy, rest, and medication. Luxating patella. Another common issue found in undersized or “teacup” Yorkies, this dislocation of the kneecap is seen in many other toy breeds. Dogs affected by luxating patella can often be seen limping, or otherwise holding up their hind leg while the bone fits back into place. This malformation of the leg usually appears about 4 months after birth, and can be confirmed by X-ray. Surgery is the most common and effective treatment. Tracheal collapse. This disorder occurs when the dog’s windpipe is too small to remain open and eventually makes it almost impossible for the dog to breathe on his own. Symptoms of tracheal collapse include difficult or abnormal breathing, dry cough, or the inability to exercise. Again, this genetic problem is seen in undersized Yorkies. Diagnostic imaging (such as a bronchoscope) can be used to diagnose tracheal collapse, and there are several non-surgical options to correct the problem including medication, healthy diet, and avoidance of overexcitement. Skin allergies. 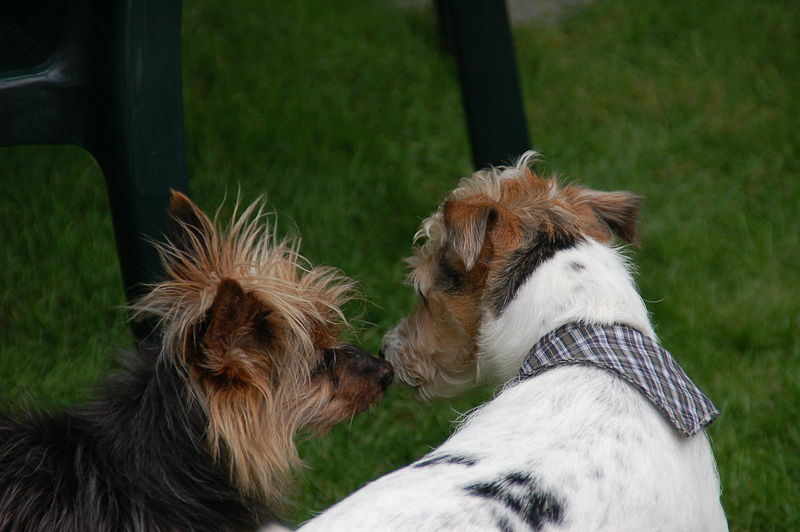 Like other dogs, Yorkies can be prone to develop skin allergies. While the causes may vary, Yorkies are very susceptible to allergies caused by food. Other variable such as fleas, pollens, mold, smoke, cleaning products, and dust can also cause skin allergies. If you observe your Yorkie scratching excessively and his skin is red and irritated, speak to your veterinarian, who may perform a skin allergy test. Depending on the results, you may be asked to experiment changing out your Yorkie’s diet to limit allergy-causing ingredients. Tooth decay. 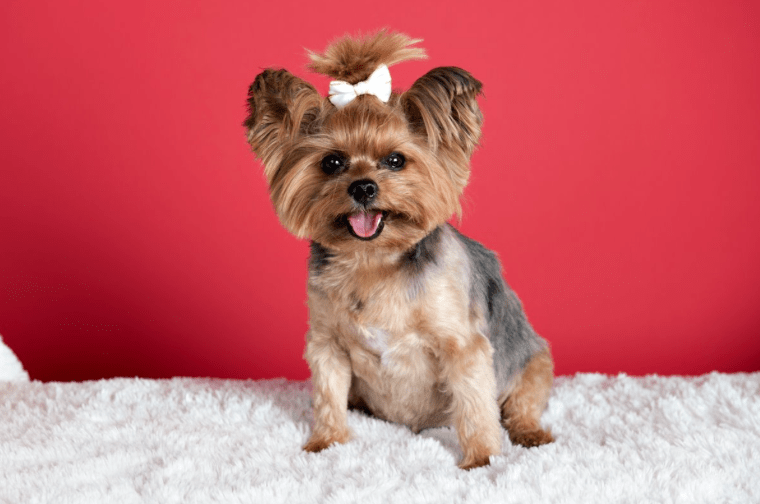 Like most toy breeds, Yorkies have very small mouths and their teeth tend to become overcrowded. Because of this, food can become easily lodged between the teeth. 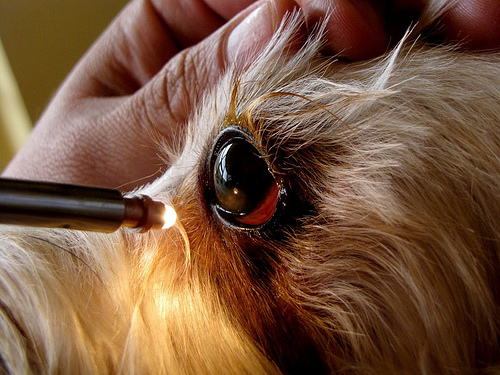 If not cleaned periodically, your Yorkie’s teeth can start to decay and cause dental disease. Have your Yorkie’s mouth examined regularly by your veterinarian, and in addition to annual or semi-annual cleanings, start brushing your Yorkie’s teeth once a week (with specially formulated dog toothpaste) to prevent buildup. Sensitivity to anesthesia. Because of their size, Yorkies are at risk for having an adverse reaction to anesthesia, including death. Many breeders and veterinarians recommend pre-anesthetic blood work to determine your Yorkie’s risk for having a negative side effect. Unfortunately, even with this blood work, it is impossible to predict your Yorkie’s reaction to the drug. Try to minimize your dog’s exposure to anesthesia—for example, if you are vigilant about cleaning your pup’s teeth, then he may not need a cleaning that would require him to be put under anesthesia. Secondly, speak to your veterinarian about the different types of anesthesia available: many experts believe that gas versions are preferable over injectable types. Proneness to injury. It’s often been said that Yorkies seem to be unaware of their tiny stature—and it’s hard to disagree after seeing the fearlessness of these tiny dogs, especially when it comes to feats like leaping off furniture. 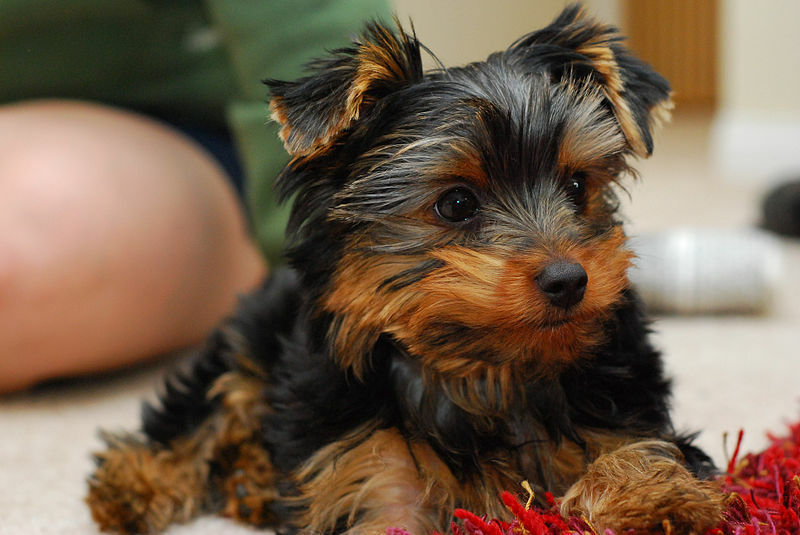 Because of their small frame, Yorkies can be very susceptible to broken bones. Invest in pet stairs if you wish to have your Yorkie up on the furniture or bed with you, and train them to not jump off high surfaces. Also, be sure to work with your Yorkie so that he knows that being underfoot of a human (who can be 20x his size!) is a dangerous place to be. Hypoglycemia. Most commonly seen in very young Yorkies, this condition of low blood sugar can be very dangerous, and even fatal, to your puppy. If you have recently brought your Yorkie home from the breeder, be sure to follow the feeding instructions you were given: hypoglycemia occurs when the dog’s blood sugar has dropped to a dangerously low level and occurs if the puppy hasn’t eaten in a while (although not enough rest can also contribute). 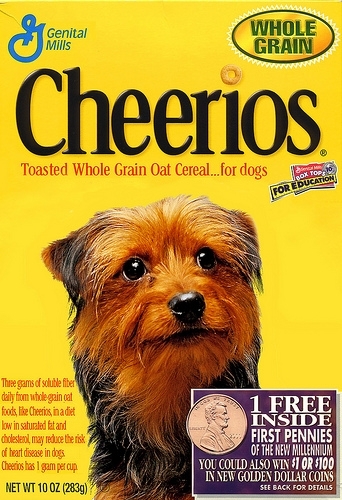 To prevent hypoglycemia, be sure that your Yorkie is eating regularly—don’t leave food out and assume he is eating it. Be on the lookout for symptoms of low blood sugar including drowsiness, confusion, shivering, or collapse. One of the first steps to take is to give your Yorkie some form of sugar like corn syrup and rub it on his gums. If he does not improve almost immediately, contact your veterinarian. While Yorkies may be prone to a variety of medical problems, if cared for correctly, they can live upwards of 12-15 years. 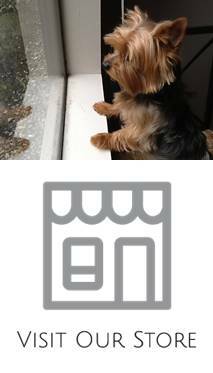 If you are considering purchasing a Yorkie, then be aware that many of the problems listed above occur in dogs that are undersized, so be sure to do your research on the breeder you want to purchase from and insist on health guarantee in adoption contract. Additionally, do your homework when it comes to choosing a dog food for your Yorkie, and remember that daily exercise and plenty of water is essential to any dog’s health. I have a Yorkie name Buttercup and she was about 2lbs and 5 ounces she was 10 weeks old when I purchased her she was labeled as as teacup costing me 2300 this was March of 2009. There is a price for a cute baby doll teacup she is now 6 lbs and by the time she was only about 4 months or maybe even 5 months she was exhibiting odd behavior is what you think at first but she was having Pettie mall seizures which led to grand mall seizures. I had to sue the people I bought her from thank goodness I had contract that granted me a year of good health which I did not get. I spent 3000.00 on a MRI then on for a numerologist medication kepra, prednisone for a year. The judge made them pay me back what I paid for her plus 30.00 interest and 20.00 Court fee, they offered me another dog I was no I am keeping Buttercup and the check came in the mail two week later, I have been through issues with her not being able to breath this when they make that sound trcheal collapse now recently Luxiating Patella in both her knee she is grade 3 in her right knee acl in her left and her left knee Luxiating Patella is like a grade 1. Sad part is I am retired Now money is not flowing when I was working I bought her and my retirement gift. I have insurance what a joke I feel they are when they kick in is when I have if I choose surgery which I just don’t know what to do waiting for the specialist to send me his finding. My point is these small breeds the breeders are doing them a disservice and they should not be breeding them don’t get me wrong I love Buttercup I am doing everything for her that money can buy, but I am always crying cause it is sad. Her leg collapsed and she could not walk after getting groomed on Dec 16 2016. They are not breeding these dogs right these dogs wind up suffering with liver shunt etc, everything, collapsed lungs etc. it is not fair to the animals or the pet parents.. something needs to be done. I realized if you try and breed a 1pound with a 3 pound these poor dogs are not developing correctly. 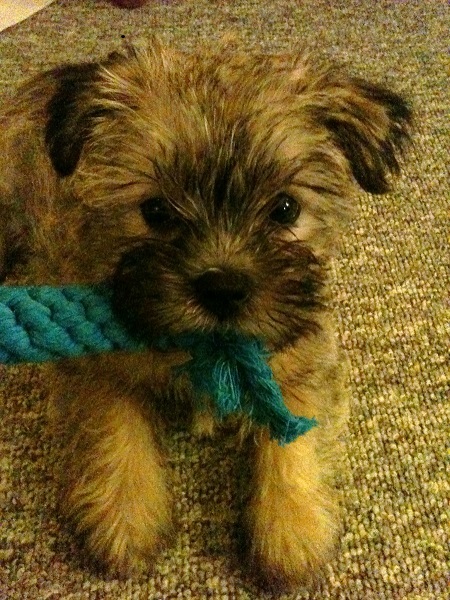 I love yorkies but I will never evert purchase a small dog ever again.